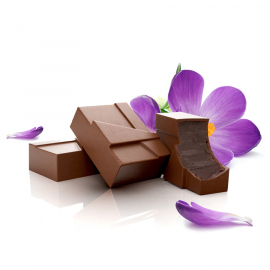 Chocolate of a crackly appearance surrounding a delicious ganache of Toulouse violet. 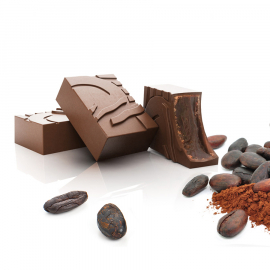 The geometric form of the chocolate recalls the shape of the top of Juliette’s nose. 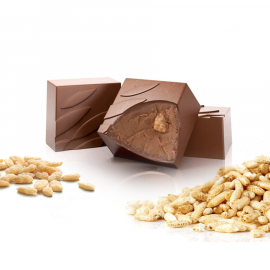 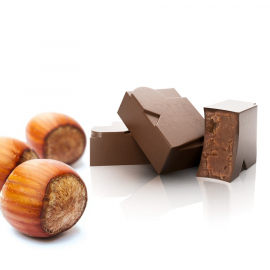 Thick and pure hazelnut paste permeated with puffed rice makes this a crispy chocolate. 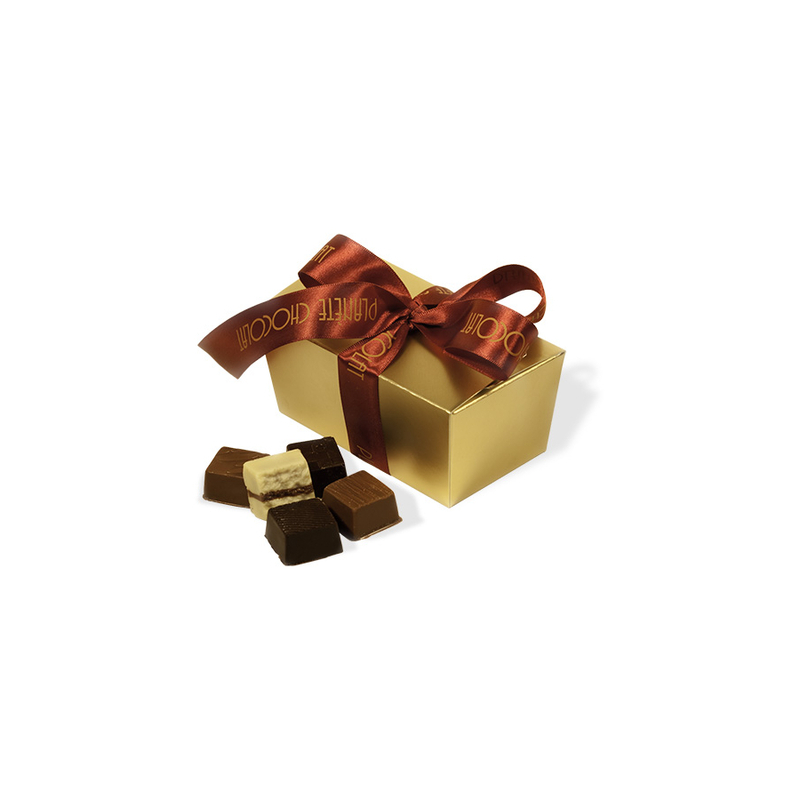 It is decorated with a design featuring fine, lively flourishes. 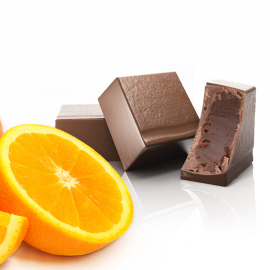 The naturally sweet flavour of the orange ganache contrasts with the discrete presence of the fruit’s bitterness and acidity. 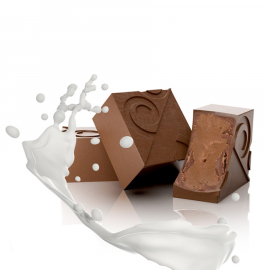 The milk chocolate coating further accentuates the sweetness.